Ken Larson's West Side Lumber Company narrow gauge logging railroad operates in 1950 in the Sierra Nevada Mountains of California. Ken prototypically models 75 miles of the railroad's route, travelling from Tuolumne up to the Pine Belt at an elevation of 5000 feet. 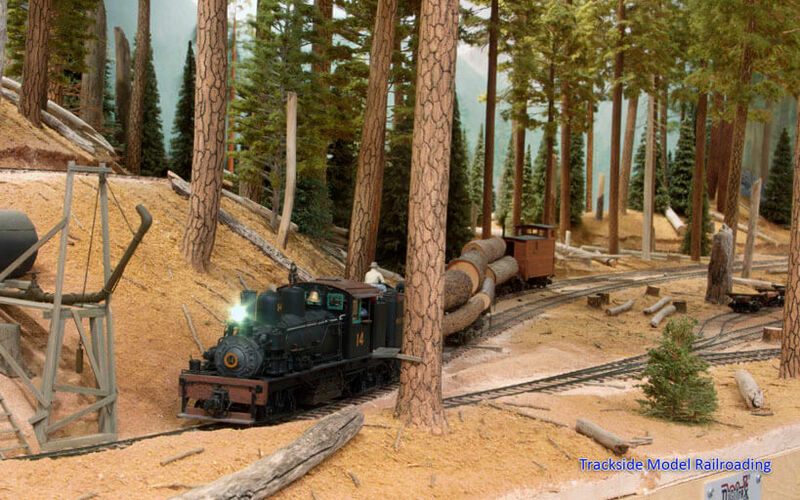 Ken custom-built vehicles and structures and carefully crafted accurate representations of specific species of trees for his railroad. 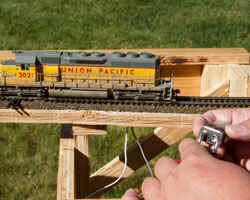 This feature includes an article, photographs, and video of the layout. 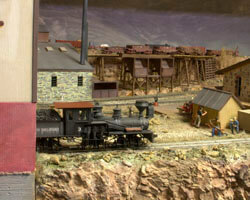 Gary Jordan's On2 gauge Gilpin Tramway is based in 1915 in Black Hawk, Central City, and Golden, Colorado. 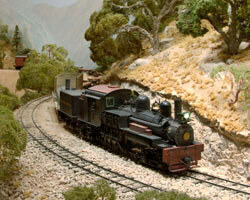 The Gilpin Tram was a steep narrow gauge railroad built to haul gold out of the mountains via a series of switchbacks. 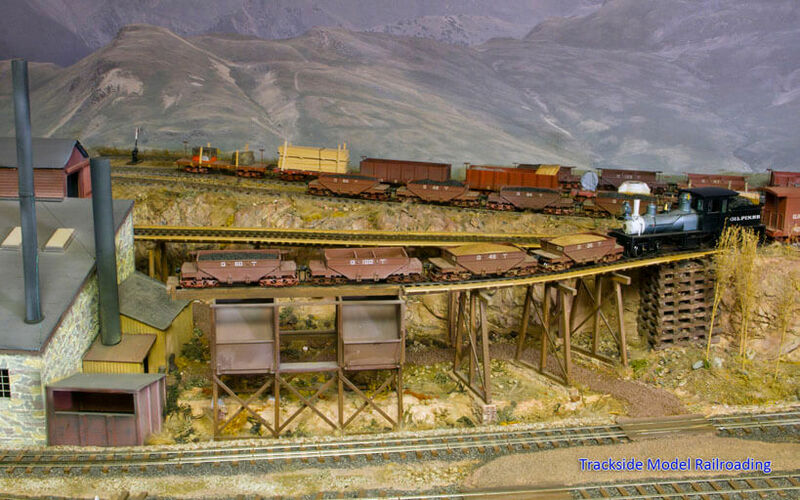 Gary designed the layout for operations and has an interchange with the Colorado & Southern in On3 and with the Chicago, Burlington & Quincy in standard O gauge. A video is included of the Gilpin Tram in operation. 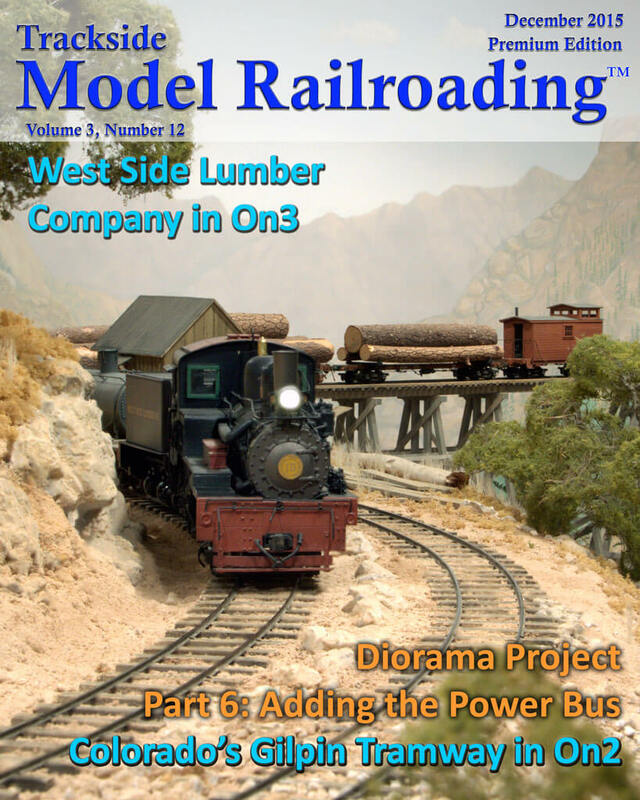 This month, we show you how to add the power bus on the diorama project we have been working on since July 2015. You can use follow the steps to work on your own layout or diorama or use the ideas here to add a power bus for a modular setup.